Bryony Stone is a writer, editor and creative. After graduating from King’s College with a First Class Honours in English Literature, Bryony went on to work at Mother London, Secret Cinema, Wonderland and Rollacoaster magazines before joining It’s Nice That where she became Acting Editor. 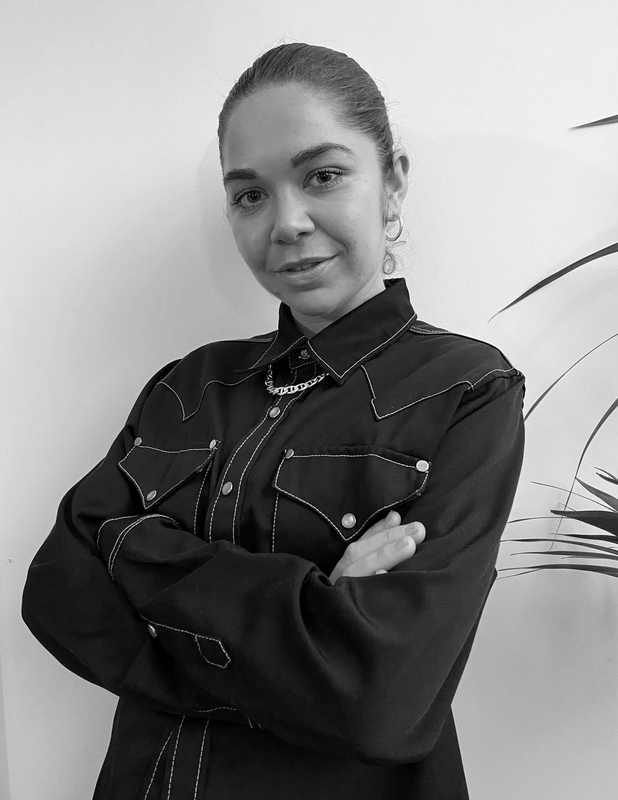 Now freelance, Bryony combines editorial and commercial expertise with strategy to communicate stories to audiences online, in print and through experiential events. She has worked with creative agencies including Anyways, Just So and Platform13. Bryony writes about art and culture for publications including It’s Nice That, Dazed, Wonderland, Rollacoaster, Riposte, Man About Town, Vice, Broadly, i-D, LAW, Refinery29 and brands such as Vans and Size?. In 2017, Bryony founded IRL platform all in: using art to spark meaningful conversations in real world spaces. Bryony’s first all in: event was a 10-day long exhibition held at House of Vans, Waterloo. all in: the mind brought together 19 emerging and established creatives including Tim Noble, Akinola Davies, Celia Hempton and A Sai Ta, to look a closer look at mental health. all in: the mind was covered by Dazed, i-D, Refinery29, LOVE magazine, Wonderland, TimeOut London, Amuse and ArtViste. Over 700 people attended the opening night and the panel discussion sold out. In August 2018, Bryony transformed the House of Vans gallery space into an site-specific, pop-up artists' residency called all in: progress, building a community of London's most promising young talent right underneath the city's busiest station. Fine artist Alfie Kungu, fashion designer Paolina Russo, painter George Rouy and multidisciplinary artist Wilson Oryema generated a new entire body of work across fine art, poetry and fashion, driving their practice in unexpected new directions in response to the community working alongside them. The residency was covered by publications including Dazed, Wonderland, ELLE , Evening Standard, TimeOut, i_-D, It's Nice That and Another Man. In October 2018, Bryony curated all in: bodied at Galeria Melissa in Covent Garden presented by Brazilian shoe brand Melissa. A collaboration between artist Zoë Marden, designer Sinéad O’Dwyer, choreographer Grace Nicol and dance artist Becky Namgauds, all in: bodied was a love letter to the female-identifying body in motion: the way she occupies space, the infinite variation of forms she takes and the way she moves through the world. all in: bodied was covered by It's Nice That, Dazed Beauty and ELLE. In June 2018, Bryony worked with Amelia Abraham to co-curate The CAMPerVAN Presents: Feeling My Selves, a day of readings, discussion and performances on the topic of identity-making and self-expression featuring drag artist Tom Rasmussen, artist and curator Kat Hudson, activist in trans visibility and performer Kai-Isaiah Jamal, dancer Ted Rogers, artist SAGG Napoli and artist and founder of Shadow Sistxrs Fight Club Ayesha Tan Jones and performers Fiontasia, aka Fiontan Moran and ShayShay. Read more here. Bryony has curated, chaired and spoken on panels including 50 Years On, a collaboration between It’s Nice That, Camden Council and CSM celebrating creativity in the LGBTQ community, It’s Nice That’s popular monthly event Nicer Tuesdays, European creativity conference Eurobest, a Digital Detox with Bbyface and Nike, The Other Art Fair, The Laundry Arts: Women, Creativity and Sport supported by Nike Women and her own IRL platform all in: supported by Vans.